We have a home paid for by cash, we need to make some repairs. What would be better, a 1st mortgage or a HELOC? Hi Bill, My wife and I purchased an 83-year old condo several years ago. It was updated in the 70s but needs more work. We paid $210,000 cash at time of purchase. Now we are thinking about a loan to payoff some credit cards, kids college bills and do some remodeling. Should we look for a 1st mortgage or go with a line of credit? We don't have an exact number for what we might spend on remodeling. Thanks for your advice. Each option has advantages and disadvantages over the other. Choosing a Home Equity Line of Credit, or HELOC, gives you the greatest amount of flexibility. If you are using equity for renovations to your home, an equity line of credit offers the flexibility to make sure the job gets done. Home improvements and renovations rarely come in under budget; if you only planned for a fixed amount on your project, you could find yourself short when unforeseen circumstances arise. Equity lines of credit offer a debit card you can use for purchases just like a credit card that is tied to the equity in your home. Mortgage loans on the other hand, have many advantages over equity lines of credit. These loans come with fixed interest rates and allow you to borrow a specific amount without the temptation to overspend. Mortgage loans are ideal for homeowners that want to consolidate their bills into one low payment. When you take out a second mortgage for this reason, it is important to remember that debt consolidation does not eliminate your debts; it simply moves it around to make it easier for you to repay. You gain a tax advantage with home equity loans, the interest you pay on these loans can be deducted on your Federal Income tax. -HELOCS were primarily designed to ride behind a primary mortgage, so they will usually have higher interest rate and the rate might fluctuate. -You can only use the money that you need, and pay off the loan whenever you are able to. -Interest charged on a HELOC is not tax deductible. -A traditional mortgage will have a fixed term and even a prepayment penalty clause, so you are stuck with the payments till the time the prepayment penalty expires. -Will get you the lowest interest rate. When shopping for a mortgage, it is imperative that you fully understand the terms to which you are agreeing. Ask the lender what the interest rate will be, if the rate is fixed or adjustable, and what fees and closing costs you will be expected to pay. Most borrowers prefer a fixed rate mortgage, if financially feasible, as fixed rate loans generally provide a set monthly payment amount for the life of the loan, allowing borrowers to better plan for the future. When shopping for a mortgage loan, I encourage you to consult with several mortgage brokers, as speaking with various lenders and brokers will help you determine the best interest rate and terms available to you. 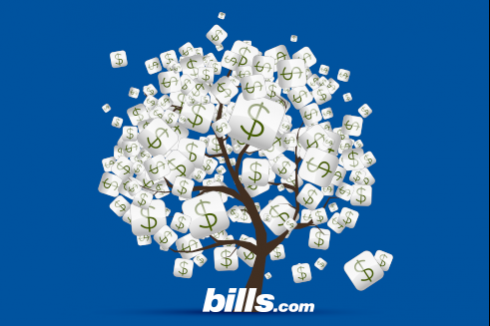 If you submit your contact information to the Bills.com Savings center at: Mortgage Refinance Quote, we can have several mortgage brokers contact you to discuss the mortgage options available to you. No matter what your credit situation or the type of loan you intend to borrow, the key to making sure you obtain the best loan available is to shop around with different brokers and lenders. Listen carefully to the terms being offered by each lender, take notes, and compare the available loans side-by-side. Once you have selected a loan, make sure that the amount of fees and interest you agree to at closing are close to the estimate provided when you first inquired about the loan. If a lender tries to force you into a deal you feel uncomfortable about, feel free to walk away and take your business elsewhere. I wish you the best of luck in finding a loan that meets your needs. I hope that the information I have provided will help you Find. Learn. Save.